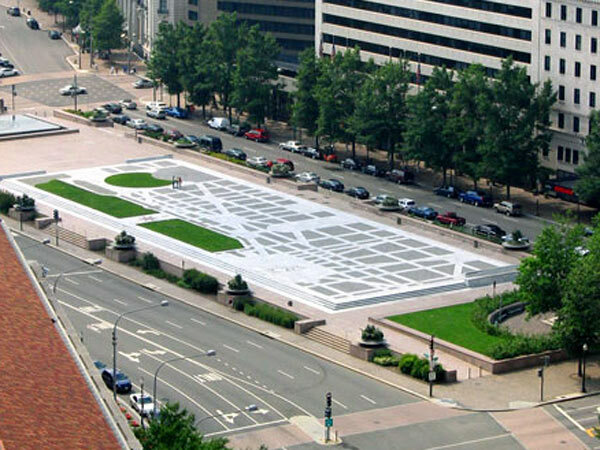 Freedom Plaza and Pershing Park were part of a design competition won by M. Paul Friedberg (Pershing Park) and Venturi, Rausch and Scott Brown with George Patton landscape architect (Freedom Plaza). 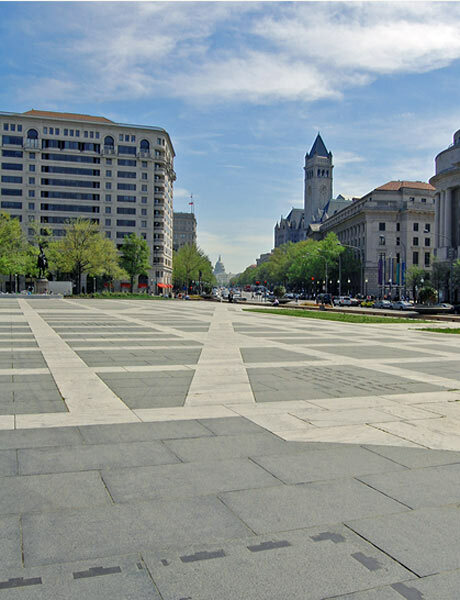 These new public spaces were part of The Pennsylvania Avenue Development Corporation’s (PADC) plan to transform Pennsylvania Avenue into a ceremonial route connecting the US Capitol to the White House. 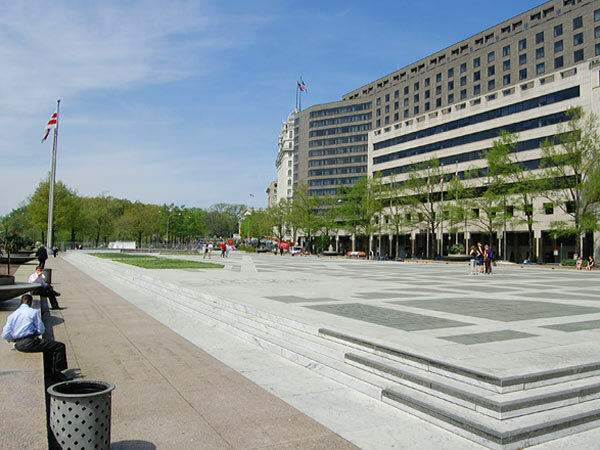 Named in honor of Martin Luther King, Jr., and opened in 1980, this Modernist plaza set on a raised terrace platform and separated from the surrounding streets by a series of steps, is a partially realized design because of concerns expressed by chairman of the Fine Arts Commission, J. Carter Brown. 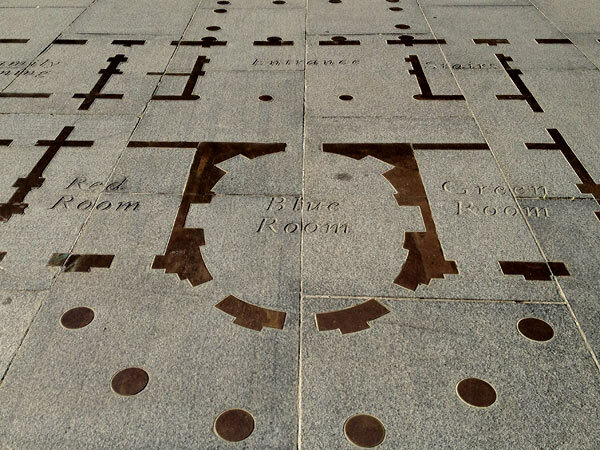 Composed of simple elements, the pavement consists of a large 1887 map of Pierre L’Enfant’s federal city delineated in black granite and white marble, grass panels representing the Mall and the Ellipse, and bronze markers denoting the Capitol and the White House. 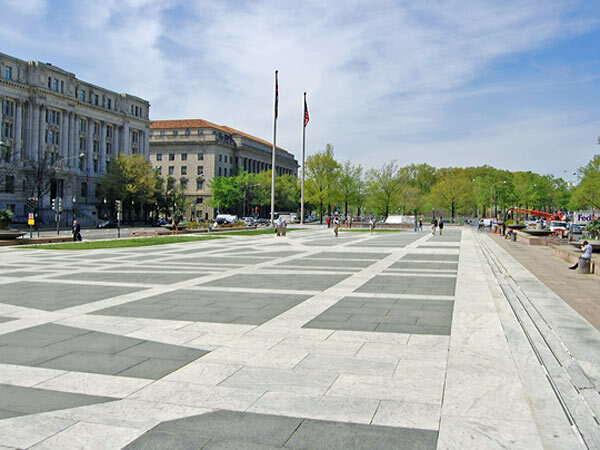 (The original design scheme proposed large maquettes of the White House and Capitol buildings, two tall sculptural pylons which would frame the Treasury Building linking the plaza to the city and a multipart sculpture by Richard Serra.) 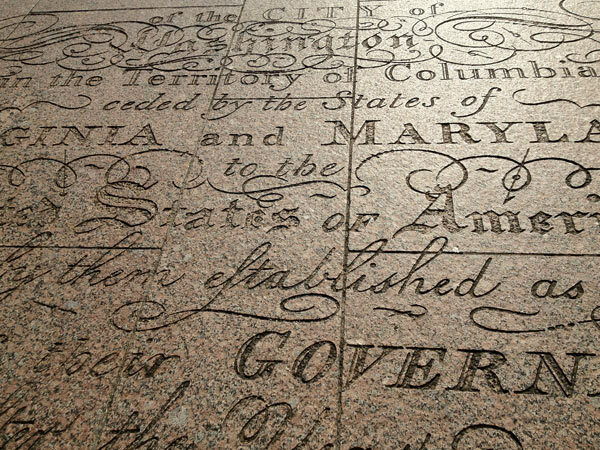 Historic quotations are incised on the plaza floor and terrace walls. 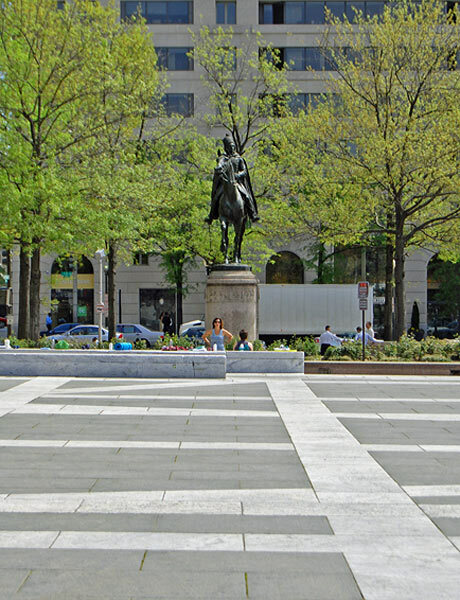 The western end of the plaza contains a large fountain, while the eastern end contains an equestrian statue of Kazimierz Pułaski.